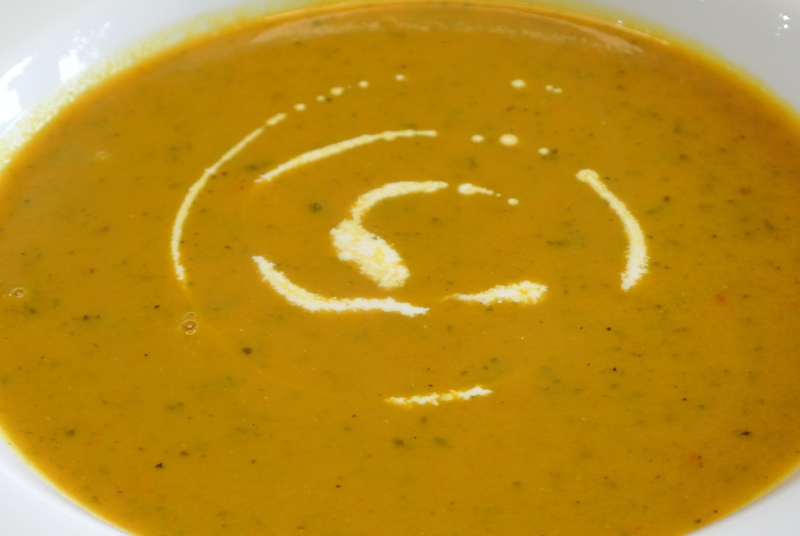 This is a really quick and simple soup, great to make in the autumn or winter when it starts getting cold. Heat the oil in a large pan, add the onions, carrots and garlic, sauté for 4 minutes, until they are beginning to soften but not colour. Stir in the ground coriander and plenty of seasoning and cook for a further 1 minute. Add the stock and bring to the boil, cover and simmer for 20 minutes or until the carrots are really tender. Stir in the fresh coriander.